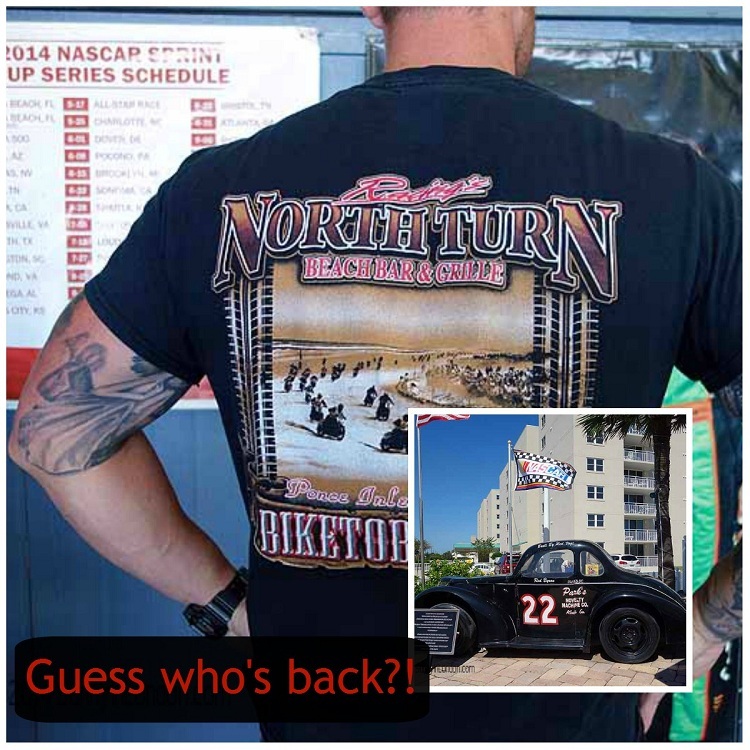 Racing’s North Turn- Guess Who’s Back! When I saw the Facebook update for Racing’s North Turn on a Sunday evening in July, my heart stopped. It indicated a huge fire had erupted overnight in the restaurant’s kitchen. 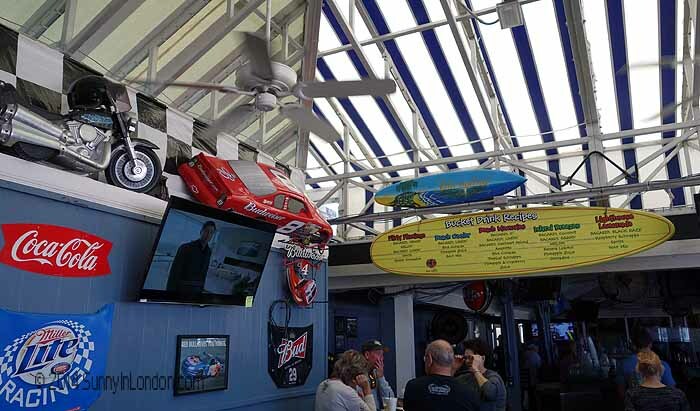 They were grateful no one was hurt but shattered that the famous beach bar in Ponce Inlet, Florida had experienced substantial damage and would be closed. The loss of this establishment wouldn’t be a little drag. The end of Racing’s North Turn would be historically and culturally devastating to Daytona. 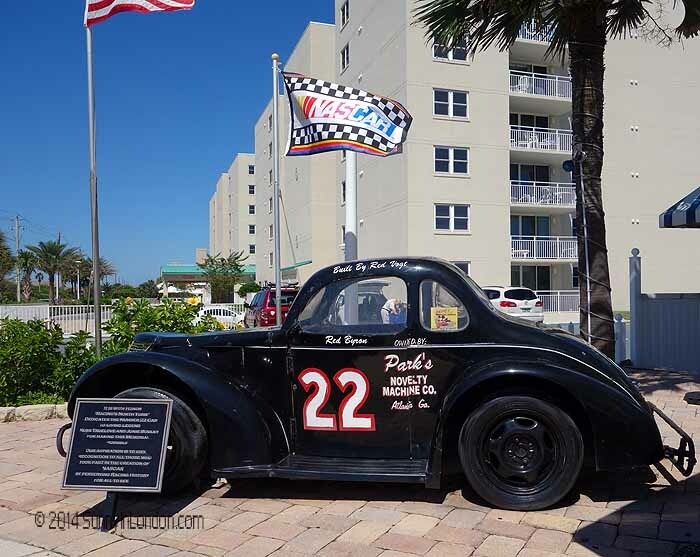 Back in 1936 car racing had its humble beginnings on the flat, compact sands of Daytona’s beach. Participants started at 4511 South Atlantic Avenue and raced two miles south. Then they returned to the North Turn. 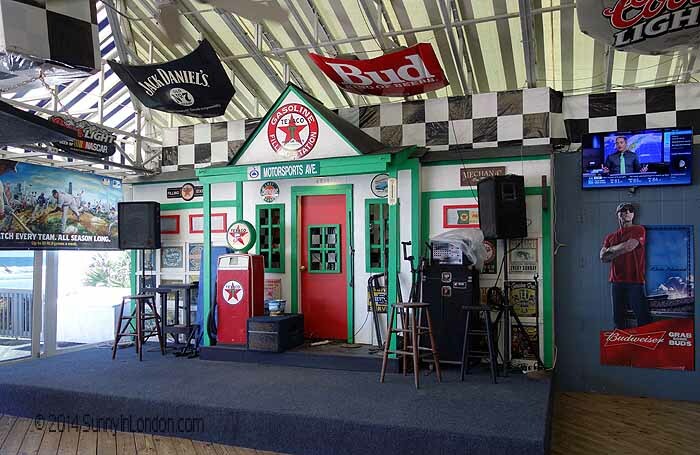 Here, race fans and competitors were fed at the Sandpiper restaurant. In 1959 Bill France created the race track, which is several miles inland. This moved the races away from the sand to a defined, physical structure. It also officially launched NASCAR and stock car racing in America. 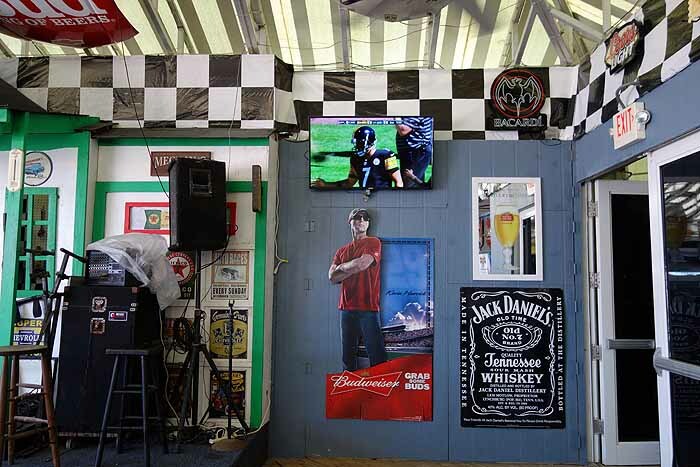 Even though the actual races moved, the beach venue kept its tradition of a race themed location. It has had different names and owners. But, for the past sixteen years it’s been ‘Racing’s North Turn’, and the proud owners are Walt and Rhonda Glasnak. During this time, it has been a well oiled engine and attracted a loyal local crowd, as well as people from all over the world. However, the iconic venue came to a screeching halt on the morning of July 13. Despite fire departments from Ponce Inlet, Daytona Beach Shores, Port Orange and New Smyrna Beach arriving to assist in the crisis, the physical damage was extensive. 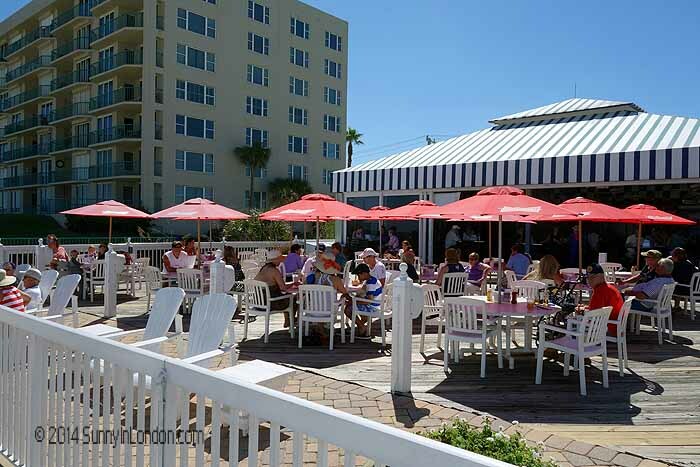 Walt and Rhonda pressed forward to make a speedy recovery and were thankful for the local businesses who helped by hiring some of the beach bar’s 70 employees for interim work. On September 15th, Racing’s North Turn officially restarted their cooking engines. 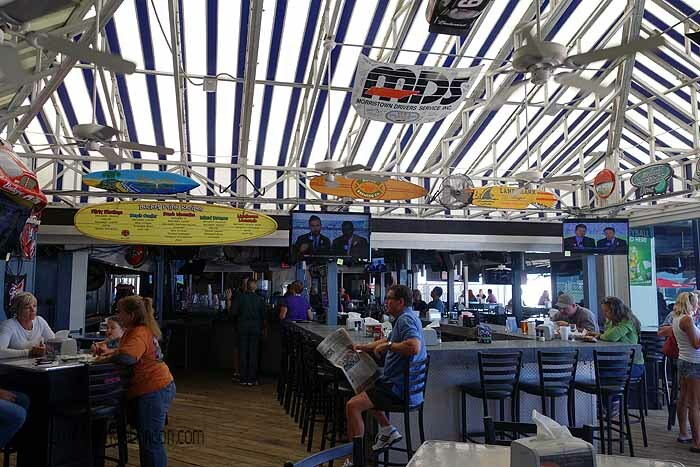 So, when I made a trip back to my hometown Daytona the first week of October, a visit to my favourite beach bar was the front runner on my list of things to do. On your mark… get set…. GO! I wasn’t surprised to see a trio of Harley’s shining in front of Racing’s North Turn. ‘Hallelujah!’ I thought, as I stepped closer to worship these wheels. You see, one thing is damn certain for Daytona natives- we’re a full throttle breed of people. Don’t be fooled by our flip flops, the lazy ocean breeze and our Southern twang. We like our wheels to move fast and with furious thunder. 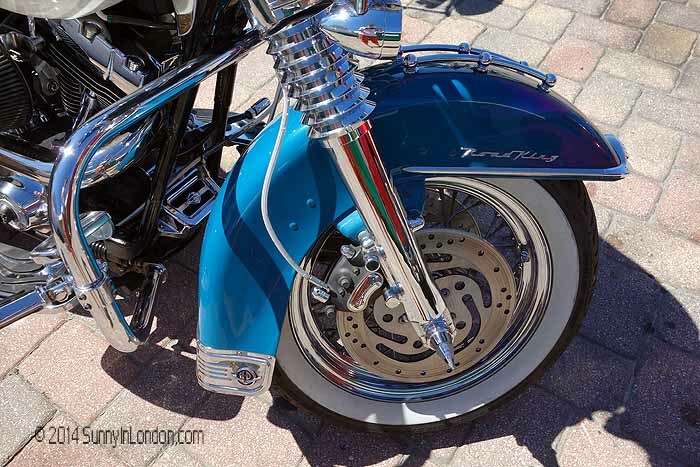 An engine’s roar, whether from two wheels or four, makes us come alive. 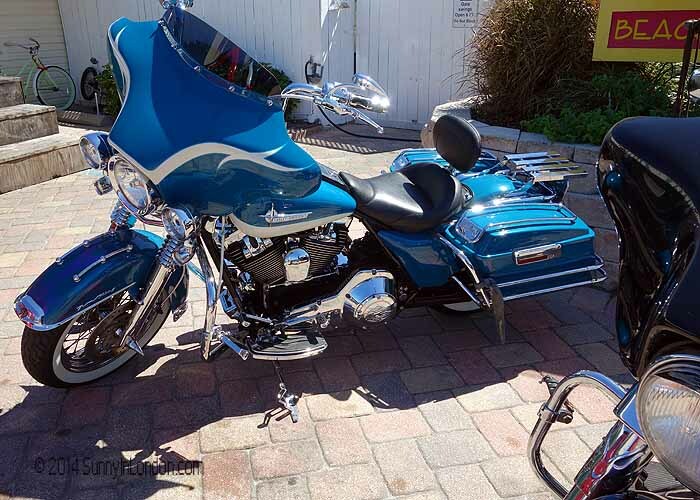 In Daytona, life is about how hard and loud you roll. 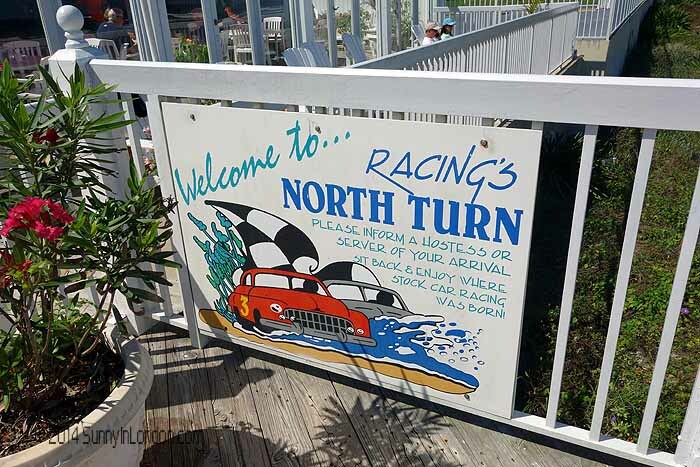 Near Racing’s North Turn’s entrance is a replica of a car that was raced on the beach. The reconstruction temporarily has patrons entering through the gift shop. And, thankfully, both the inside bar and outside bar are open. 😉 So, don’t you worry all you die hard Bloody Mary fans! 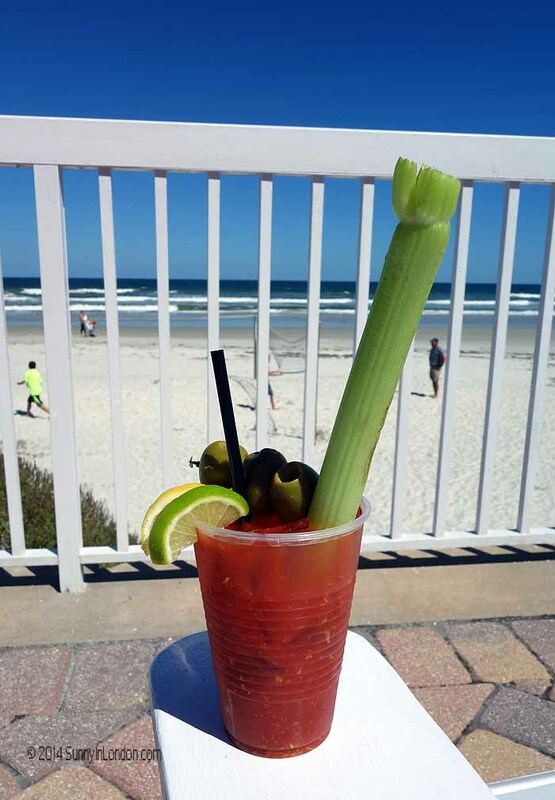 You can still grab one of their signature drinks and sip it there between A1A and the Atlantic ocean. My mother, godfather and three close family friends joined me on this cloudless, sunny Florida afternoon. All but one of us is originally from Pittsburgh, so our 12:45pm arrival was strategic. You see, at 1:00pm the Pittsburgh Steelers vs. Jacksonville Jaguars football game was starting. 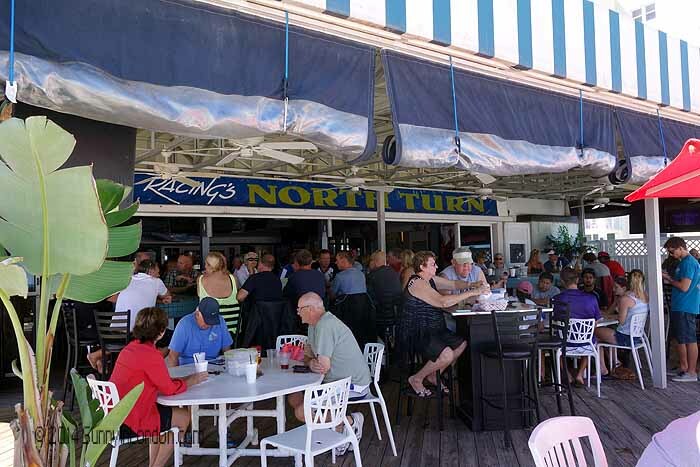 Racing’s North Turn is a popular place to watch NFL games, and it has a live band every night after 6:00pm. We were promptly greeted by our server, Chris. He explained that they’re operating from a satellite kitchen. Therefore the menu is a bit limited. For right now, they’re doing their best to make the most popular items for people. 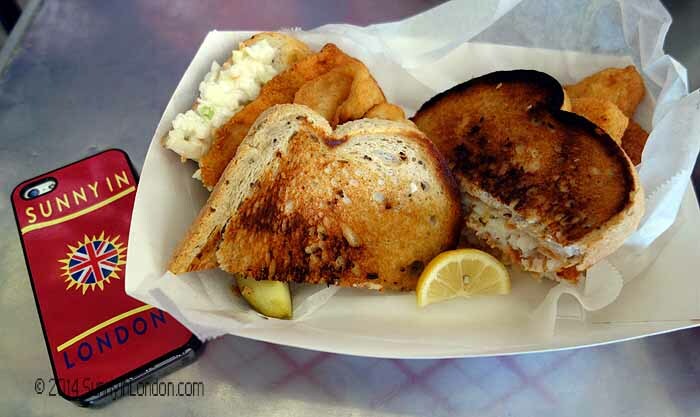 My mother and I ordered the Fish Reuben, which is their #1 most requested meal. 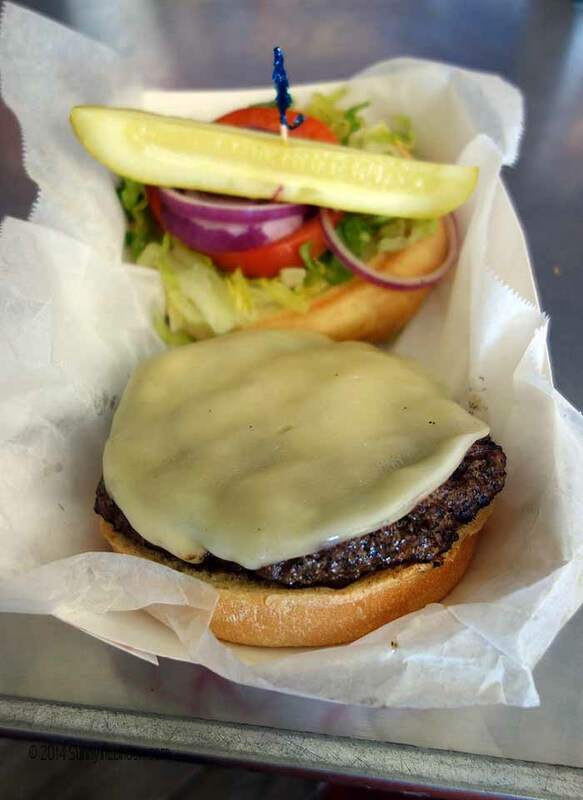 When I asked Chris what else was in the food race, he said the burger was rounding the corner for a possible tie. Yummy. Yummy. I see why. 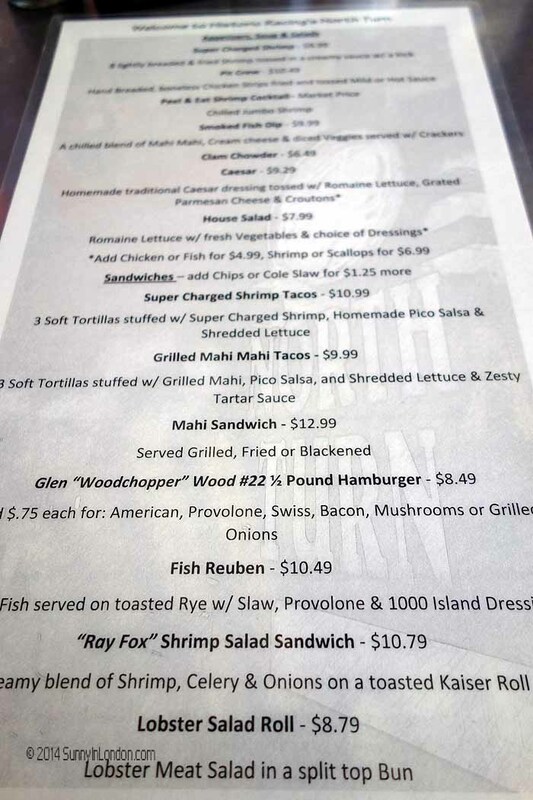 Aside from my godfather’s order of clam chowder, our table pretty much stuck to the Fish Reuben and burgers. 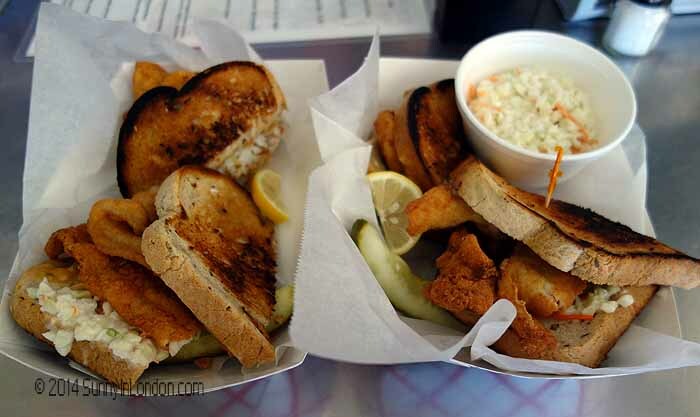 At one point, we added another fish sandwich. Chris informed us the ‘pop up kitchen’ had just waved a caution flag on production time because the crowds were building at the restaurant. We appreciated the update and were happy to wait patiently for food while enjoying the game. I mean really, would you complain about watching football with this backdrop? 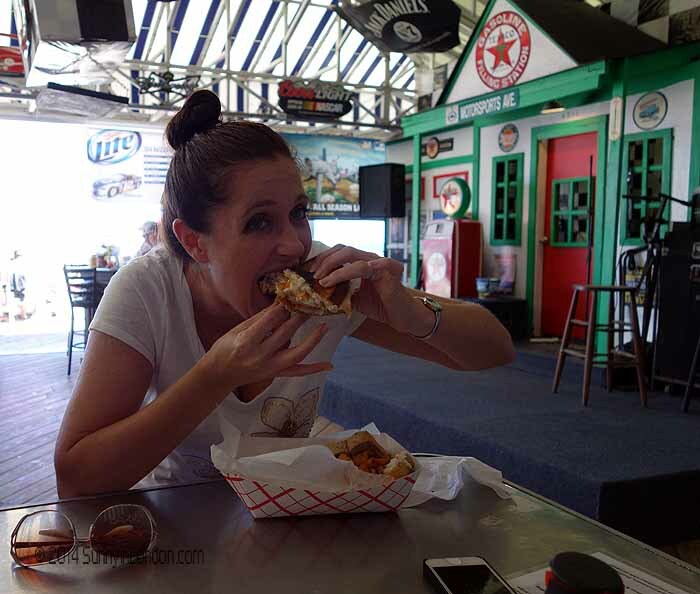 After I finished my food, I had the chance to talk exclusively with the owner, Rhonda. She gave me a tour of the area that previously was the kitchen. Rhonda made numerous mentions of the community’s outreach during the restaurant’s recent time of need. She and Walt have tremendous gratitude for everyone who has helped. Again, I wasn’t surprised with Daytona’s supportive reactions, but it sure was great to hear. 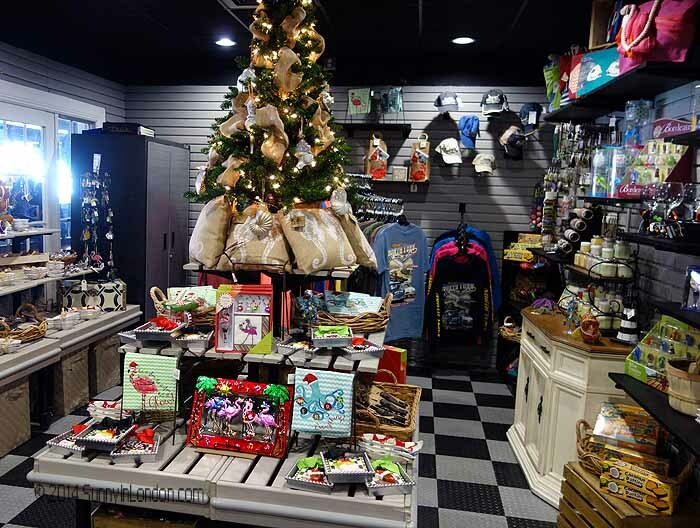 During our conversation, Rhonda emphasised how either fire or water damage destroyed nearly all of the memorabilia and everything in the gift shop. 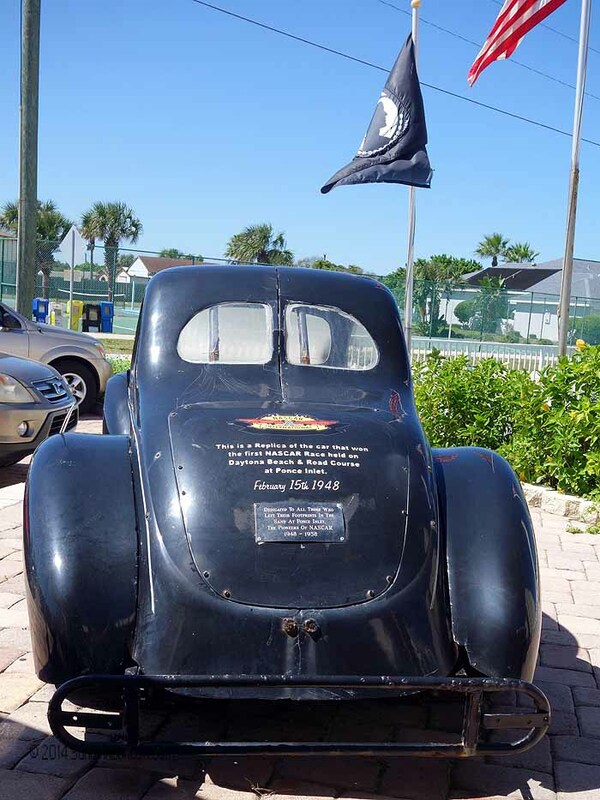 International Speedway Corporation made a substantial effort to help them get back on track by donating many racing items. She said they were keen to rebuild and opened quickly with what they felt people cherish the most. 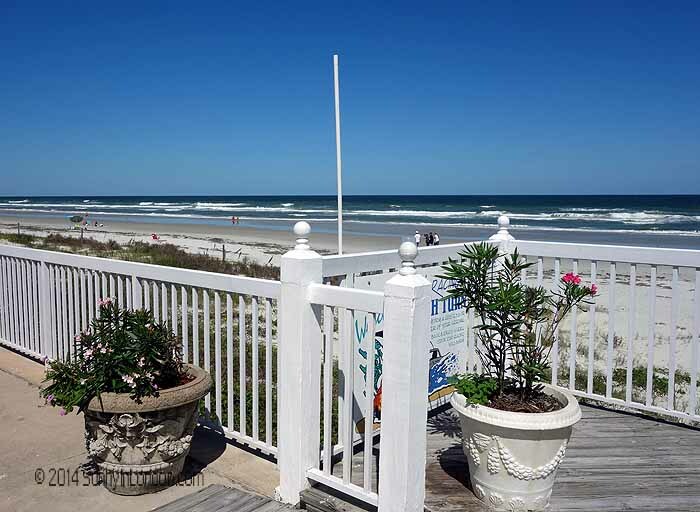 Just like all the previous times, I had a wonderful afternoon at this iconic beach bar in the Ponce Inlet are of Daytona. I didn’t really care that I wasn’t eating on real plates. And I don’t think anyone else minded either… We were also very relieved to see that our ‘Big Big’ (#7 Ben Roethlisberger, the quarterback for the Pittsburgh Steelers pictured below) triumphed over the Jacksonville Jaguars. 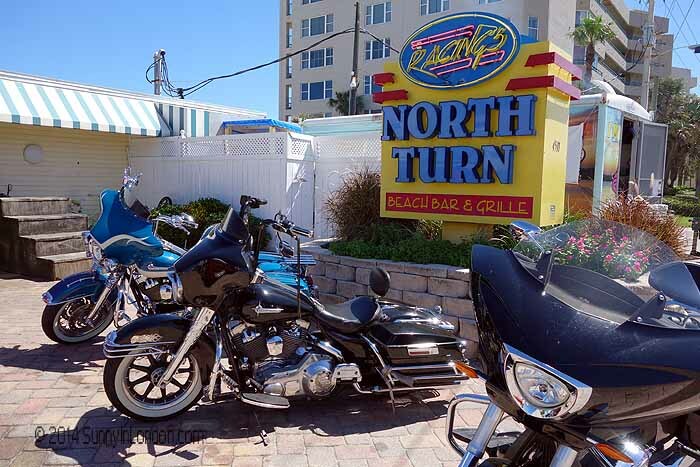 But more importantly to us was seeing that our server Chris and the rest of the pit crew at Racing’s North Turn have risen from the ashes and are still in the driving seat of Daytona’s lead venue on the beach. Like a strong phoenix, the restaurant will continue to thrive, thanks to the fabulous owners, staff, community and loyal patrons. 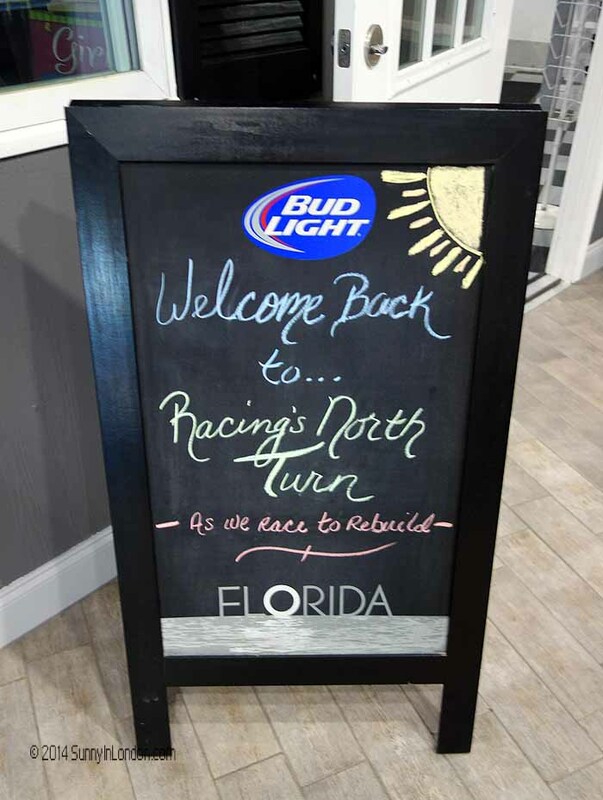 Be sure to visit Racing’s North Turn website to learn about all their exciting annual events. You can also follow them on Facebook and Twitter. Carluccio’s and big Christmas news! I didn’t realise you had such strong connections with Daytona, I’m actually flying there this Sunday! I recognise that restaurant and no doubt I’ll be having lunch there at some point next week since my colleague brings me there. I’ve also taken the tour of the NASCAR track too. I must admit that I’m not into Motor Sport (not even in the slightest) but there were some interesting parts to the tour. Thanks again for reading! I am going to take my husband to the speedway tour when he visits with me. I’ve actually never been on it either. My sister’s company made the phone case for me, and not to long ago I hosted a giveaway for a custom designed case for bloggers. I do hope you make it to North Turn- please tell them ‘Sunny in London’ sent you and ask for Chris or Gaspar. They’re amazing! ‘Captain America’ was pretty fun too 😉 I can suggest a few other restaurants to you, but it sounds like your colleague may know all the best ones already. Loved your Pittsburgh post, by the way. My favourite towns! !